Mark Hudson, of the National Agricultural Statistics Service of the U.S. Department of Agriculture (USDA/NASS) in Washington, D.C., issued the March citrus crop forecast. 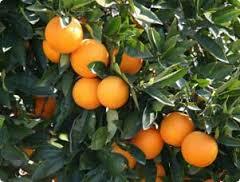 Although there was no increase in the non-Valencia oranges for this month, an increase was reported for the Valencias. There also was a slight increase for white grapefruit. The April USDA/NASS citrus crop forecast will be released on Tuesday, April 12, 2016. You will be able to listen to the forecast as it is given here on SoutheastAgNet.com at about 12 noon Eastern time. THANK YOU to our Citrus Crop Forecast Coverage Sponsors!